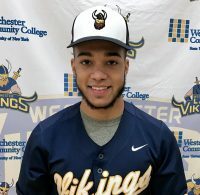 Miles Haughton of Westchester Community College is the Mid-Hudson Conference Athlete of the Week. 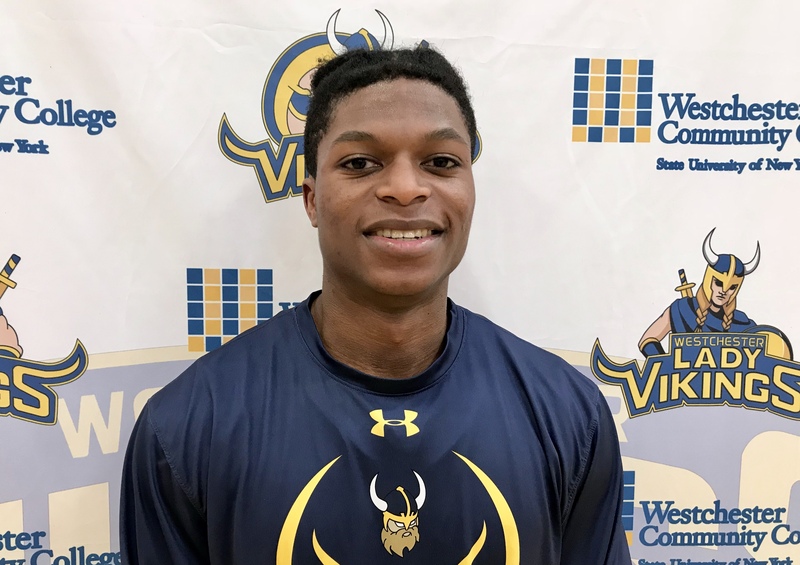 Robinson is a 6-5 Sophomore Forward on the Men’s Basketball team. 23 points in a comeback win over Ulster and 30 points in a win over Orange. Both were conference wins and in the Ulster game, the Vikings were down by 19 points late in the game. Haughton shot 68 percent from the field and 63 percent from 3-point land for the week. From Mamaroneck, NY Haughton graduated from Mamaroneck HS.